Get great tips and ideas on how to doll yourself up courtesy of the top beauty app you can download for free on your Android device. Indeed, beauty is in the eye of the beholder, but it would not hurt if the female member of the species would do a little touch ups from here and there to enhance their natural God given looks using cosmetics. But don’t get us wrong, we are neither going to talk about cosmetic procedures here nor are we up against it. In this post, we aim to share some of the best beauty app that provides helpful insights about beautifying tips and tricks such as what make-up is suitable for your skin complexion, how to apply it on the go via the best beauty app for Android. 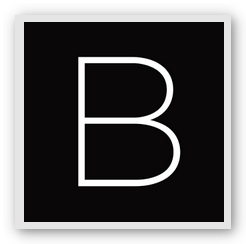 Our favorite among the Android beauty app, Beautylish , is also tagged as the “Editor’s Choice” in Google Play Store. This nifty app is like a one-stop beauty journal on the go. It features the latest trends on makeup styles including beauty products reviews. You can also take advantage of the makeup tutorials so you can try and experiment it on your girlfriend or yourself. In addition to that, it also offers interesting tips about different hairstyling (color, treatment, etc. ), nail care (nail art, nail products and more) and just about anything that has to do with the girly stuff. Aside from the eyes being the window to your soul, it also the part of your face that others take notice at first glance, thus, it is essential to know how to apply the right eye makeup as it can ultimately break or make your look. 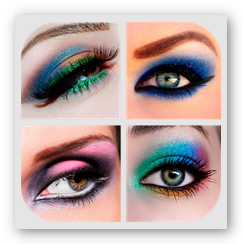 Basically, Makeup Ideas is one of the most helpful Android beauty app that focuses on eye makeup know-hows which includes step by step tutorials on different eye makeup application to get that smoky eyes look, dramatic eyes look, make your eyes appear either smaller or bigger and many more. Michelle Pan Beauty Tips is a beauty app that provides a direct link to YouTube’s beauty video tutorials that will help you achieve the perfect made up look you are aiming for. From the everyday look to anime look, there is surely a step by step tutorial that can assist you. However, it is just a fan made app, thus, you need to manage your expectations on it but generally speaking it is a very relatable app which can be quite handy for beginners in the field of makeup application. 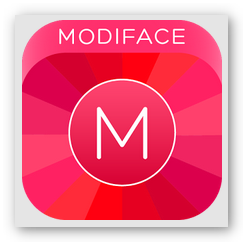 If you are looking for a beauty app that you can mess around with, then Makeup by ModiFace is definitely a must try for you. It is a virtual makeover application that enables you to apply over 2000 cosmetic shades including more than 60 celebrity hairstyles, eye colors and accessories such as jewelries, sunglasses and much more. Moreover, you can also try on over 20 different celebrity looks and other virtual beauty enhancing tricks like teeth whitening, blemish removal and so on. Another great way to get posted on the latest makeup trends is by subscribing to YouTube beauty vloggers who features makeup tutorials, honest cosmetics reviews and other beauty related topics. But above all this, true beauty shines from within. Hence, it is highly recommended that you get enough rest, focus on a healthy lifestyle and keep a positive outlook in life.